Lindenhurst, New York, USA. September 23, 2018. 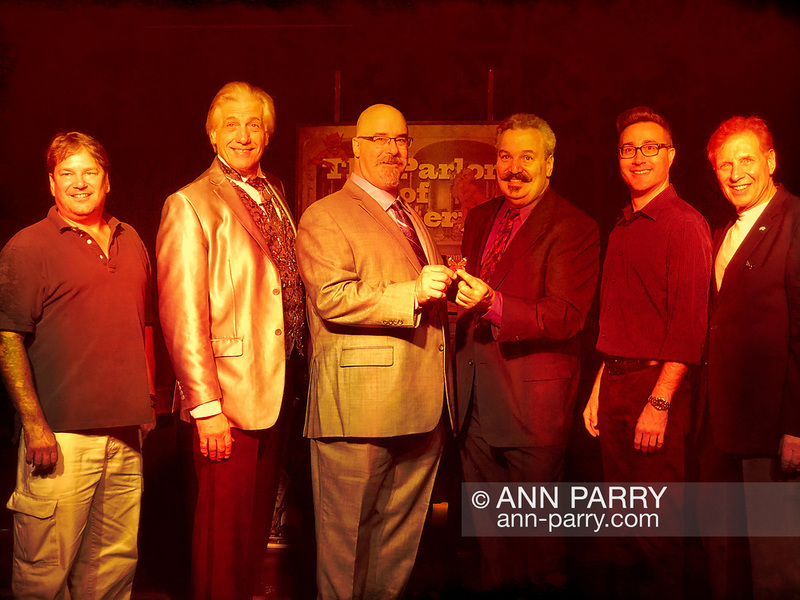 (L-R) Executive Producer TED PLEZIA, and magicians R.J .LEWIS, JOE SILKIE, BOB YORBURG, and DAVID ROSENFELD, and producer MIKE MAIONE pose after Comedy Magic Show presented by The Parlor of Mystery and South Shore Theatre Experience.